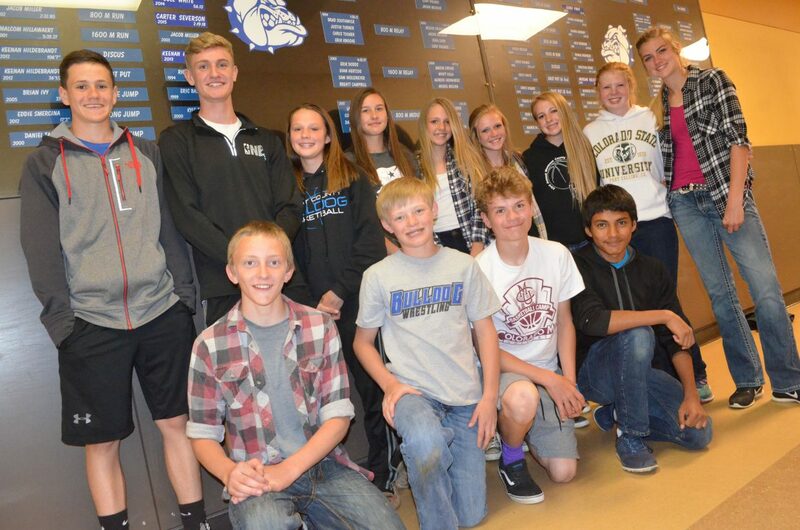 Members of Craig Middle School track and field pose next to the school record board. Craig Middle School track and field will be seeing a lot of changes soon. 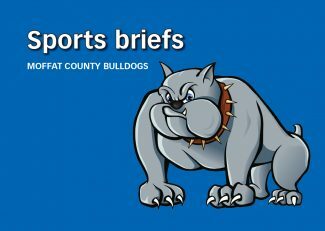 The CMS track program finished its season Saturday with the Bulldog Invitational at Moffat County High School, a conclusion to a schedule that has seen one record after another broken, one dozen in all. 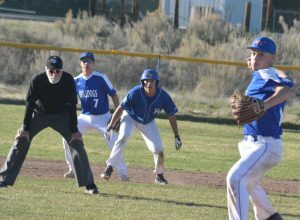 Athletes set new school bests in every meet they attended this spring, including events in Kremmling, Meeker, Rangely and Baggs, Wyoming, as well as at home at the Bulldog Invite and April’s Moffat County Night Relays. Having two meets in a row did not impede runners and jumpers, said coach Chad Backsen, as competitors carried their momentum from Friday in Baggs to home on the weekend. The following is a list of new records. 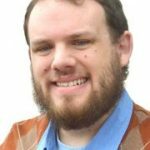 Multiple relay teams consisted of seventh- and eighth-graders, Backsen said, with their results being recorded under the eighth-grade column. 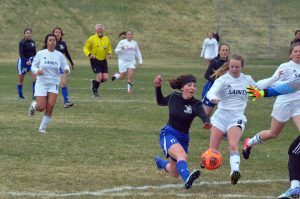 Athletes were continually watching their numbers this season, and just setting one record — three or four in some cases — wasn’t enough. 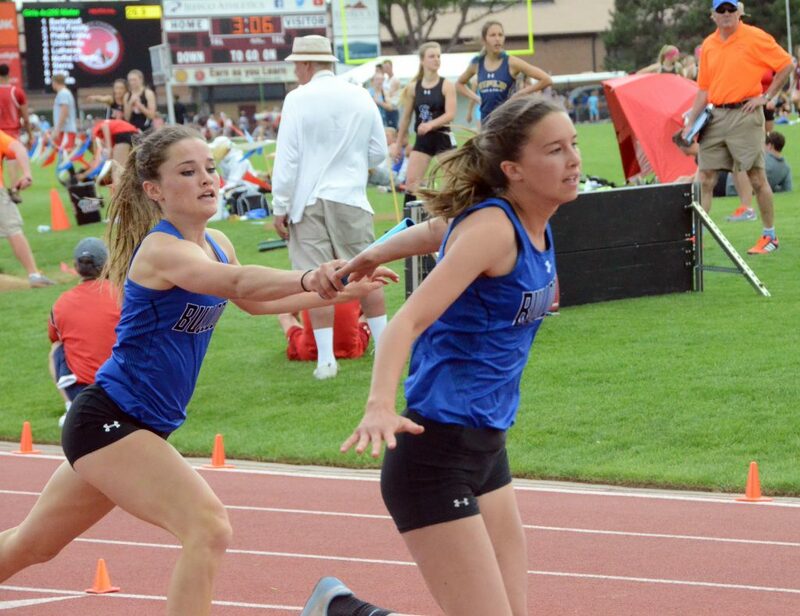 During Saturday’s meet, the 4×100 relay group of Rylie Felten, Reese Weber, Jacie Evenson and Taytum Smercina were striving to make a new best happen. Though it didn’t quite happen in that race — though they did place first — Felten said her mindset was the same as for any of her events. “I thought, ‘I’m doing this for my team and trying my best even if we don’t break the record,’” she said.